Interested in an affordable & hands on medical volunteer abroad program in India? Are you a medical student, doctor, nurse or other medical professional? Are you looking for opportunities to gain hands on medical experience? Or are you interested in sharing your medical experience in impoverished communities in India? Then our India medical camp program is a perfect opportunity for you. Delhi is a beautiful and diverse metropolis with 25 million inhabitants. It's the city of cities. A place so rich in relics, monuments, historical sites, and cultural heritage that some call it the ancient Rome of India. And just a few kilometers away from that bustling city life is one overgrown, overcrowded, unhygienic, and gigantic slum, which houses 20% of the population of the Delhi. Thousands of those who live in the slum suffer from numerous diseases and poor health-related conditions, due to the high levels of poverty, unhygienic living conditions, and a deficient urban planning. The government has limited or lack of resources which are necessary to assist the thousands in need. The elderly, women, and children of the slums are among the poorest, the neediest, and the sickest; they cannot fend for themselves. Every year there is a high number of unnecessary deaths due to lack of or nonexistent primary health care services. An intervention is urgent. The medical volunteer camp in the slums of Delhi is part of a uniquely designed volunteering medical program in India that carters to caring forthese people. The stand-alone medical camp moves from area to area as needed to provide essential health care services to those who don't have access to or can't afford basic healthcare services. It relies on local doctors and medical volunteers, like you, who want to use their skills to be part of the solution, to have a positive impact on the lives of those who seek out the medical camp, and to improve the health conditions in the slum communities. As part of this medical volunteering in India program, you will provide treatment and basic medical care services to the neediest local patients: the elderly, the orphans, the women, and the disabled. People who are in desperate need of primary medical care and basic health care education will be lined up waiting. Throughout the project period, there will be one or more locals doctors who will supervise and guide you. The local doctor will also be your team leader. Your team leader will give you information about the common health issues, delegate tasks, allocate patients, advise you, and intervene when and if communication problems occur. 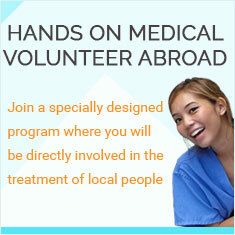 Any medical student or health care professional can participate in this hands-on medical volunteering program in India. Some of the professionals needed are physicians, physician assistants, nurse practitioners, nurses, midwives, gynecologists, dentists, paramedics, EMTs, physical therapists, and nutritionists. If you work within the health care field and your profession is not listed, you can still be part of this program as other specialties are often needed. During your volunteer medical trip, you will have the opportunity to learn first hand about the health care system abroad and to experience on your own the impact one volunteer can have in a community in need. To help you, we will make sure your placement caters to your current needs, interests, training, qualification, and the amount time you are giving to this project. Through this invaluable contribution, you can make a difference in the lives of those who truly need. Your local team leader will be a medical professional. A local doctor will lead the Global Crossroad's medical camp in India. The local doctor will also be your team leader. 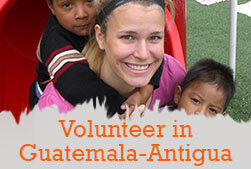 Your team leader will help you to make your medical volunteer experience rewarding to you and useful to local people. He or she will also coordinate the different tasks in the health camp, explain the local health issues, and provide you with supervision and guidance to make sure that your skills and expertise are used in an efficient way that will benefit those who need them the most. Your team leader will be your go-to person and point of call during the project. Your team leader will be a knowledgeable, qualified and experienced local doctor who will work with you every day. Depending on needs of the volunteers, local nurses, local interpreters and translators might join the team to make sure things always run smoothly. On your first day of the volunteer medical work in India, you will join an orientation session. Your team leader will guide you through the orientation, starting with a brief introduction to the culture, history, geography, politics, people, and contemporary issues of India. Then your team leader will move onto explaining in detail everything you need to know about the medical camp: its goal, current location, essential tasks, and common illnesses and conditions you might encounter. You will learn about your responsibilities, health and safety procedures, what to do and what not to do, and a thorough explanation of how the camp operates. You can clarify anything you do not understand or ask any questions that were not answered at the end. After the question and answer portion of the orientation, we will review your new daily schedule. This orientation is very important as it will offer you all of the information you need to serve the local communities in the slum and enjoy your medical volunteering trip abroad. If there is enough time, you will visit the mobile medical camp for the first time and meet the locals who will be working beside you. If needed by the camp, you will start your volunteering activities on the first day. On the second day, breakfast will be served at 7 am to give you enough time to be at the medical camp before 8 am. Your first task will be to prepare the medical camp for the arrival of the patients. Within the first hour, the site of the medical camp must be clean and both the registration desks and the area for check-ups must be set up in order for the camp to be able to run efficiently. The most important part of your role as a volunteer will start around 9 am We expect locals with all sorts of health issues, from basic health problems to ear infections, eyesight problems, and skin conditions to start arriving just after 8.30 am. You will be very busy for the following three to four hours treating locals and helping with the tasks that are necessary in order to run the medical camp. It's a real privilege to be part of a team of people who work together to find solutions and to help the elderly, women, and children who are in great need. It will be an exciting, demanding, varied, and fun opportunity to put your skills to the test and learn some new ones along the way. The medical camp will close around 1 pm. Then you can go to your local home, have lunch, and enjoy a well earned rest. In your free time, you can discuss what will happen the following day or explore the immense metropolis of Delhi. A local team will be available to help you at any time during your volunteer participation in the medical camp. Normally, the camp runs from Monday to Friday with Saturday and Sunday free to rest and explore. India is an exciting country with many cities, colorful local markets, welcoming people, and enticing tourist attractions. During the last 10 years of running volunteer programs, we have helped thousands of volunteers to have great experiences in and out of the medical camp. We can give you travel information for your independent travels, or organize day trips for you. We will be happy to help you. Just let us know what you need. Important Notice: The sample itinerary just gives you a general idea of how we run the medical camp. Prior to your departure to India, we will send you a final customized itinerary of your India medical volunteer trip abroad. During your stay as a volunteer in Delhi, India, you will live with a host family in a house near the slums. It's a big house, it may remind you of a hostel, with many bedrooms and modern commodities, like WiFi, electric fans, modern toilets, a balcony, and common areas where you can rest. You will share one of the bedrooms with one same gender volunteer. Your hosts have worked with hundreds of international volunteers, so they are aware of your needs. To top off your cultural experience, your host family will serve you tasty local Indian food three times a day. Typical Indian meals include naans, rice, curries, daal, pickles, and samosas, among other local delicacies. An authentic Indian gastronomic experience is worthwhile all on its own. During your stay in India, our country coordinator and team, along with with your host family will provide you with everything that you need. They will make sure you have a unique, safe, rewarding, and fun medical volunteering experience in India. The local team will be responsible for picking you up from the airport, providing daily transportation, drop you off at the airport, and provide any logistical support related to your volunteer experience. But mainly, your most important point of call and support will be your local team leader. After you have completed your one or two-week medical volunteer experience in India, you might decide that you want to extend your stay in the country. There are many extension options available. You can either join another meaningful volunteer abroad programs like teaching English or working with orphans or simply hit the road and explore the hidden corners and scents of India. We will be happy to help you extend your journey in India. The mobile medical camp will be located in the biggest slum of the metropolis of Delhi. The precise location will vary depending on the needs of the impoverished local community. It may be in schools, orphanages, clubs or health centers. The India medical volunteer program and its camp will benefit people who cannot afford primary health care services. No. All the services and treatments you provide through your medical volunteer work in India to the neediest, the sickest, and the poorest members of the community are absolutely free. To support our initiative, we also distribute medicine and food to the locals and ask volunteers to assist us by bringing medicines and supplies. This will help us increase the reach of our distribution. You can join the India medical volunteer abroad experience for one or two weeks. It only depends on your time, goals and availability. Please do not get involved in any surgical operations and related procedures. We cannot follow up, our resources are limited and we could be victim of severe liability issues. The India volunteering medical program aims to offer basic health care services. However, many different people go to the camp to seek advice and treatment for numerous reasons. It will be different every day. There will be different situations and different individuals in need of care. The need of your skills and expertise will vary depending on those who attend the medical camp. Due to liability issues, to the limitations of the medical camp, and to our inability to follow up, please avoid getting involved in any surgical operations and related procedures. Do I need to take equipment and supplies to India? There are limited medical supplies available, so we ask all volunteers, traveling individually or as part of a group, to bring medical supplies. It really helps to achieve better results. If you can bring us medicines or supplies, we will be happy to give you a list of what is urgently needed in the medical camp. We ask all the participants in the India medical volunteer experience to bring medicines medical supplies that can be given to or used for the patients. Whenever possible, we buy medicine locally to give away to those in need without charging them anything. Your contribution will help.